To start with, I was not recommended to go to any specific consultant. I did however use a simple criteria.. 1. Has to be on BUPA Approved list and 2. Moorfields based. After doing a quick research, I decided to take a leap-of-faith and choose Mr Romesh Angunawela to treat my cataract. Now the procedure is done, and I’m almost fully recovered, I can honestly say that the whole experience with Mr Angunawela was very positive and I’m very happy with the outcome. I would definitely recommend both Romesh and Moorfields to anyone having similar need. I’ve walked out with a smile! ‘I am a student in London, I was diagnosed back at home and learned that my condition was urgent. As soon as I arrived in London , I contacted Mr. Romesh and I want to thank him for his quick response , care and professionalism. My surgery went perfectly. I received all my medicine from the hospital with a timetable and my recovery was really fast . I am also receiving enough of follow up appointments to have an update on my condition. Thank you very much. ‘ A long time variable focus contact lens wearer I unknowingly developed cataracts. I was conscious of how much more difficult driving and reading in poor light had become. I found I had to use reading glasses and often reverted to variable focus glasses. I have always hated glasses with a passion. When I learned of the need to have cataract treatment I was determined to find a spectacle free solution. I had a number of consultations with different treatment centres. They mainly encouraged me that I would experience an improvement with variable focus ICL’s. But they warned me it was unrealistic to plan a glasses free future. In some cases they warned me of potential risks and difficulties wearing and even removing ICL’s. I studied the Surgeons CVs and placed much store on their attitude and process at the consultation. I felt most confident in Romesh and chose him to treat me. I am delighted to record that my glasses and contact lenses are in the waste-bin while my reading and distance vision in a range of light is excellent. There is some shadowing but I believe my brain will adjust that over time. The number of individuals that made up the end-to-end team surprised me. It is easy to praise the surgeon but I go further. The care, attitude and skill of everyone in the team was superb and I thank you all. 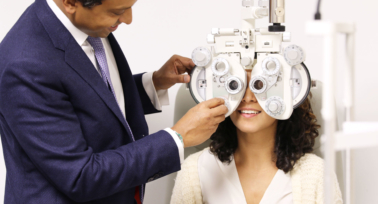 ‘I am sure that a cataract operation is quite routine for you and your team, but I found the results to be utterly amazing and my treatment at Moorfields exemplary. A procedure that I was quite frankly dreading was carried out in a manner that put me at ease and was painless. The professionalism of your nurses and doctors was second to none. 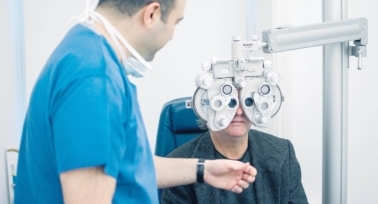 ‘After researching/visiting several laser eye surgery clinics to compare procedure and prices, I opted to have mine done by Mr Angunawela at Moorfields Eye Hospital, London, in April 2013. From the very first consultation, Mr Angunawela and his team made me feel completely at ease and spent time with me explaining the procedure, what to expect after surgery and the level of aftercare provided. Of course, this kind of surgery can be risky and is a substantial financial commitment, so being made to feel as though I would be in ‘safe hands’ was a must. This is implicit in the service provided by Mr Angunawela and his team. I honestly couldn’t be happier with the results, which quite frankly, have been life changing. I had very bad shortsightedness, so the correction needed was extensive. Having 20/20 vision is simply amazing, and after attending a three-month check up today, I have been discharged. ‘Having spoken to friends that had undergone laser surgery I was finally convinced to go for it myself. There are many places that offer surgery and therefore competition makes people fight to offer the best price. But when you consider that its your eyes I felt that I would want to be in the best place even if was a bit more expensive.Having looked at the different surgeons on the Moorfield’s web site I decided to go with Romesh. I am so pleased with the results and will recommend Romesh to any potential patients. ‘ The level of care was exceptional. Saying it was value for money, would be understating the HIGH QUALITY of personal healthcare I received. Mr Romesh Angunawela paid attention every step of the way, and the follow-ups were regular and did a lot to reassure me. He was patient and kind, and did not tire of my endless and often unrelated questions. He was fully committed to ensuring that I was fully satisfied and completely happy throughout the whole experience. Dedicated, committed and very efficient. Thank you Mr. Romesh. I was long sighted at +4.75 and previously wore extended wear contact lenses until I developed an intolerance to them. My optometrist recommended this procedure at Moorfields Eye Hospital and I am very pleased that I did. Mr Amgunawela examined my eyes and identified blocked tear ducts, which may have contributed towards my previous eye problems. He treated this before undertaking the surgery. The procedure was quick and painless and my vision is now better then it was previously wearing contact lenses or glasses. My eyes healed quickly and I am delighted with the results. I just wanted to let you know I completed my one mile swimathon today, in 48 minutes. I was so delighted that I could see, particularly as there were so many people in my lane, it was not an easy swim, but I raised a good amount of money so it was worth it. This is the last day for my eye drops, it does not seem possible that just six weeks ago I had to wear glasses, my eyes feel better with every passing day. You are a fantastic consultant and I have told as many people as I can, that should they ever need to have their eyes treated you are the man. I feel the need to write to you, expressing my heartfelt thanks for the successful conclusion of the surgery you have performed on me during the past months, even though mere words are not adequate for this expression. In my 69th year, I am of a generation wherein this technology was not even dreamed about. When I was 9 years old, I contracted diptheria. 4 other children in the same hospital and with the same disease, died. I was lucky enough to have had the new vaccination. Today diptheria has been all but eradicated in developed countries, with only 2 cases being reported in the United States, so far, in the 21st Century. My mother died at the age of 45, from a then inoperable heart condition, which now is being cured as a matter of course, on a daily, even hourly basis. When I was young, if we heard of an elderly relative contracting cancer, we virtually wrote them off in our mind – the rate of cure being so low as to be almost non-existent. Thus it is, that you may now realise, why I was quite amazed when you thanked me recently for ‘sticking with you’, after the first 2 operations had not taken. I was so grateful to be living in an age where this technology was available, that I had total faith in you, and could not even conceive of going elsewhere for treatment – even had I known where else to go! You are indeed, a remarkable human being, Romesh, and I’m not just talking about your undoubted surgical skills. You are remarkable due to your genuine care and consideration for your patients, which goes above and far beyond your call of duty. And it is this quality which is virtually unique these days in the medical profession, and indeed in most other professions too. In Biblical times, to be able to restore sight, was considered a miracle. What you have done for me, I personally consider to be tantamount to a miracle, and I am eternally grateful for it. Though I cannot conceive of a circumstance where you would require it, I nonetheless assure you that, should you ever need my written or oral endorsement, please do not hesitate to contact me. I thank you most sincerely, and extend my kindest wishes and fondest regards. As a printer my eyes are essential to my work, the results are fantastic. I have complete trust in him operating on my eyes. Romesh is not only an amazing surgeon but also an extremely nice person. He makes you feel so at ease and takes such care in explaining everything and calling you personally after surgery. My eyes did not co operate at first but Romesh was so thorough and did not rest until he had found a solution. His PA Sonia and Nat, his Optometrist are both super too, always so friendly and efficient. My optician initially mentioned that I may have Keratoconus in one eye but told me not to worry about it. However, upon researching this condition in more detail and feeling my eyes deteriorate further, I searched for someone who knew what they were talking about, and in Mr Angunawela I found the best out there. He diagnosed me with Keratoconus in both eyes and said I need cross-linking to stop this progressing. He was clear, professional and friendly from start to finish and, thus far, the operation has been completely successful. I would recommend him over anyone for this type of operation. First of all, I would like to express my sincere gratitude to Dr Angunawela and his team for their professionalism. From my experience, it ise to come across such wonderful team work. No words can describe my happiness with the results of my surgery which was indeed a miracle. All thanks to God almighty. I cannot describe to anybody to understand exactly what I was going through before the surgery. Good Luck and stay blessed always. For over 30 years I wore glasses and contact lenses with a long sighted prescription. I never thought I would be eligible for laser eye surgery and certainly couldn’t imagine not wearing glasses or lenses. I decided to research the possibility of having laser eye surgery and looked to Moorfields and after reading reviews decided to make an appointment with Romesh. I was over the moon, when after my consultation that I was told I was in fact suitable for Lasik. The procedure itself was so much quicker than I thought it would be. Throughout Romesh talked me through what was happening and what to expect so at no point felt concerned. I completely trusted Romesh and he put me at ease. He answered all my questions and queries and managed my expectations honestly. It really is amazing that after such a short procedure I am now lenses and glasses free! It has made such a difference to my everyday life, especially after wearing glasses from my early childhood. I was recommended to see Romesh due to deteriorating sight which seemed to be uncorrectable with glasses. Romesh found a cataract in one eye, which he corrected, and performed LASIK surgery on my other eye. The result: after 33 years of wearing glasses for very bad short sight, I no longer need glasses at all – I can read, drive and play sports without glasses! Romesh was fantastic – everything was explained very clearly so I knew exactly what was going on. Questions that I had after our initial consultation were answered in full and the surgery itself was painless and simple. I never doubted that I was in good hands. Romesh is a consummate professional, but he also cares, even giving up his saturday afternoon to see me when I had an (unnecessary) panic. And my new sight really is a revelation! After feeling frustrated with having to wear glasses my entire life and due to the inconvenience of wearing glasses whilst playing sport, I decided to have laser eye surgery. I had to have both Lasek and Lasik due to my astigmatism in one eye. Both were brilliantly successful! Couldn’t have asked for a reassuring, confident and experienced surgeon! Can’t recommend more. I had worn glasses/contacts for about thirty years when I decided to get laser eye surgery. I was too scared to have it done before in case it went wrong. A friend’s son has his done so feeling encouraged I did a lot of research. 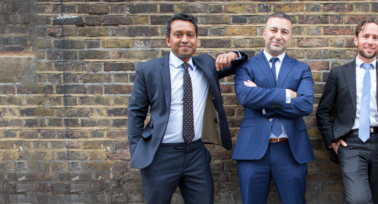 I wanted what I thought and hoped to be the best so I decided to book an appointment with Romesh, although I was still unsure if I could do it. He put me at ease immediately, I decided then and there to do it. I had LASEK so it took a little longer to heal but I knew how good it would be. Immediately after the laser work my eye was washed out and my vision was amazing. I have to say, it has been the best money I have ever spent. Thank you so much.